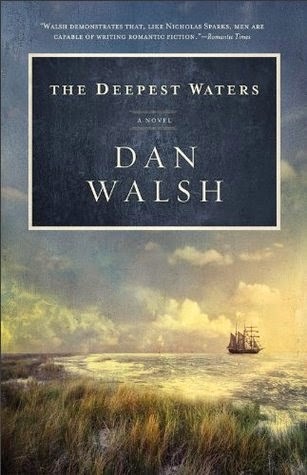 The Deepest Waters by Dan Walsh is free for download today only! What began as a fairytale honeymoon in 1857 for John and Laura Foster aboard the steamship SS Vandervere becomes a nightmare when a hurricane causes their ship to sink into the murky depths of the Atlantic. Laura finds herself with the other women and children aboard a sailing ship while John and a hundred other men drift on the open sea on anything they could grab as the Vandervere went down. Suspecting her John is gone but still daring to hope for a miracle, Laura must face the possibility of life alone--and meeting her new in-laws without their son if she ever reaches New York. Readers will be holding their breath as they sail through this emotional and honest story of hope, faith, and love in the face of uncertainty. Talented author Dan Walsh skillfully tells an epic story through an intimate focus on two lost lovers. Inspired by real events, this moving novel will capture the hearts of all who dive into its pages.